Dr. Joseph Mercola now has a part of his popular health website devoted solely to electromagnetic fields (EMFs): EMF.mercola.com. 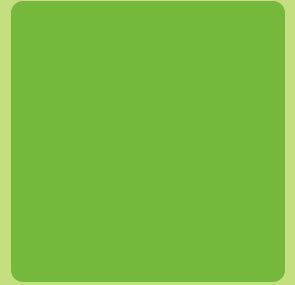 The site functions as a stand-alone website and features articles by Vicki Warren, an electrical engineer and the current Executive Director and Indoor Environmental Consultant of the Institute for Bau-Biologie and Ecology (IBE), a non-profit educational institution that integrates technical knowledge, biological understanding and ecological sensitivity to make healthy homes and workplaces. 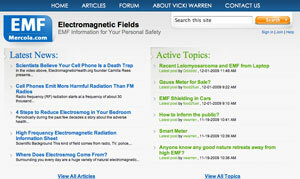 Some of the articles Vicki has written that are available on the site include: Scientists Believe Your Cell Phone Is a Death Trap, 4 Steps to Reduce Electrosmog in Your Bedroom, Creating a Sleeping Sanctuary, and Is Your Cordless Phone Zapping Your Energy? Did you know that most of the health risks we face today are caused by our indoor environment? Sleeping disorders, chronic fatigue syndrome, severe headaches, allergies, depression, respiratory problems and other conditions are influenced by the nature of our homes. The specific presence of electromagnetic fields (EMF) in our living spaces makes us more prone to electromagnetic radiation and other toxins that can harm our health. As a building biologist, I want to help raise your awareness on things such as EMF so you can protect yourself from these and avoid health risks. I believe that improving the quality of your homes, which means making them more nature-friendly and safer from EMF, can dramatically enhance your health. Coupled with my background in electrical engineering, I will share with you my expertise in this area to help you understand technical information that you can apply easily in your daily life. Looks like a great new resource, and we will add it to Planet Thrive’s electrical sensitivity section. You might also want to read the article I wrote about this subject titled Reducing Electromagnetic Frequency Exposure May Improve Your Health, published on NaturalNews.com, in the NEEDS newsletter, and of course on Planet Thrive in our thrive! Journal. Considering corded telephone, modem vs wireless computer, cable vs satellite tv, Internet connection. Just moved into the house and need to make wise choices for our health and technology. Experience and pendulum dowsed truth reveals that the Quantum Scalar Pendant which is programmed into the zero-point energy field has the power to protect the wearer and his/her environment (100 yard radius) from damaging EMFs. The pendants are created with fusion technology from Japan and Amazon sell some which have attractive crystals set in a sun burst pattern. It is really important to know about the toxic effects of EMFs as Corporate Laws which run rough shod over us without our knowledge or permission favour the corporations and allow this deliberate harm of the people and their children and companion animals. I believe that when high levels of EMFs stop the body de-toxing properly and if heavy metals are present then the blood brain barrier is opened which allows the chemical build up in people to adversely affect the brain. This can lead to depression and aggression – either projected outwards or inwards as self harm or suicide. Our governments are complicit in this deliberate harm of the populations and we know that the ‘global elite low life’ who give the government puppets their orders, want a de-populated planet with everyone micro-chipped. Incidentally, micro-chips are in medical injection needles – we need to know this as knowledge is power.